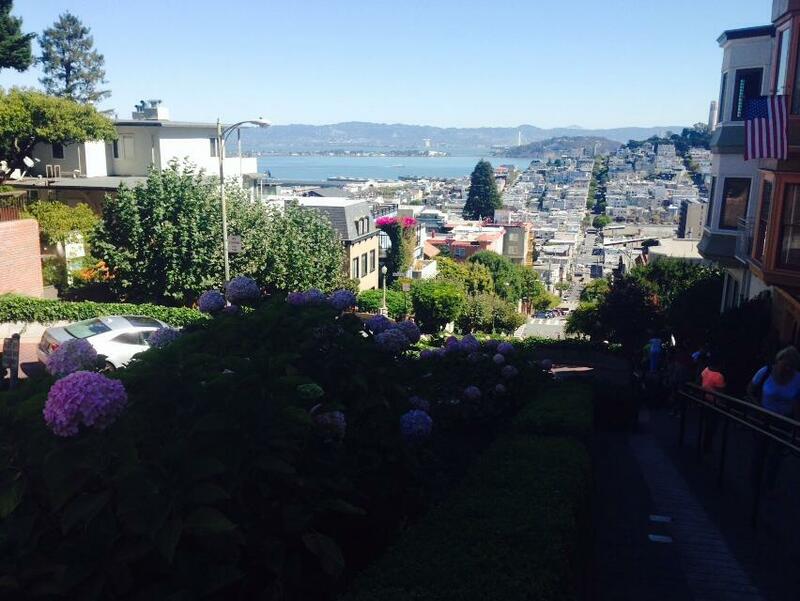 As soon as we arrived in San Francisco, my aunt took us directly to Lombard Street to finally cross it out my San Francisco bucket list. 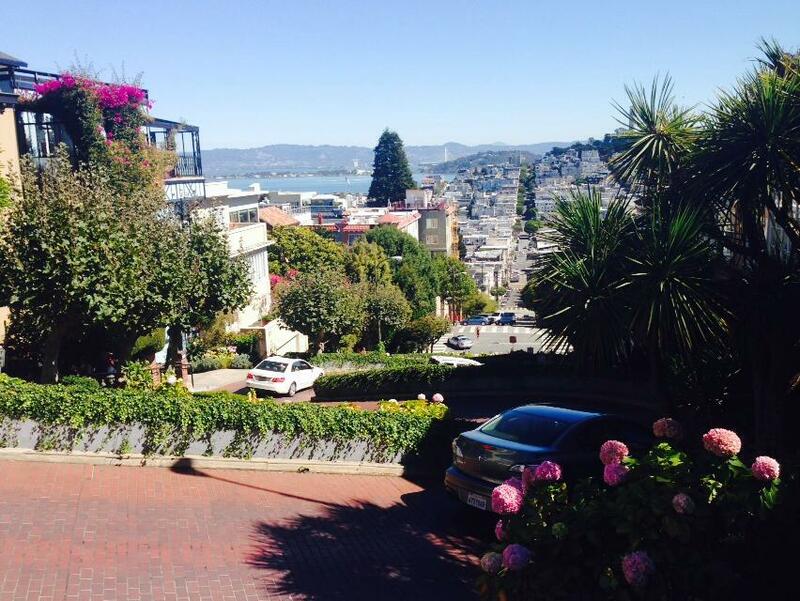 Lombard street is one of the most crooked streets in the world. Probably one of the most photographed in San Francisco as well for being so unique and extremely lovely. 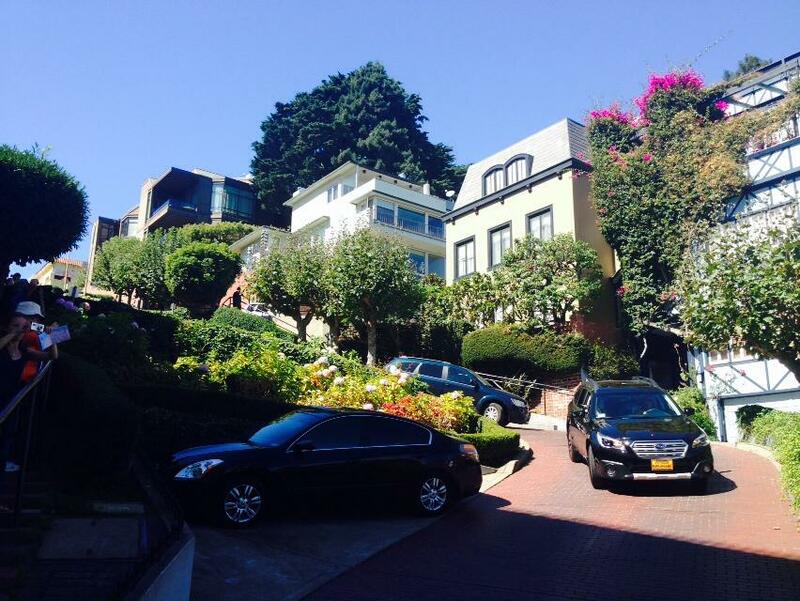 What’s so different about Lombard Street you may ask, apart from being so beautiful with its manicured mini lawn and mini gardens, this street has eight tight hairpin turns due to its steepness. 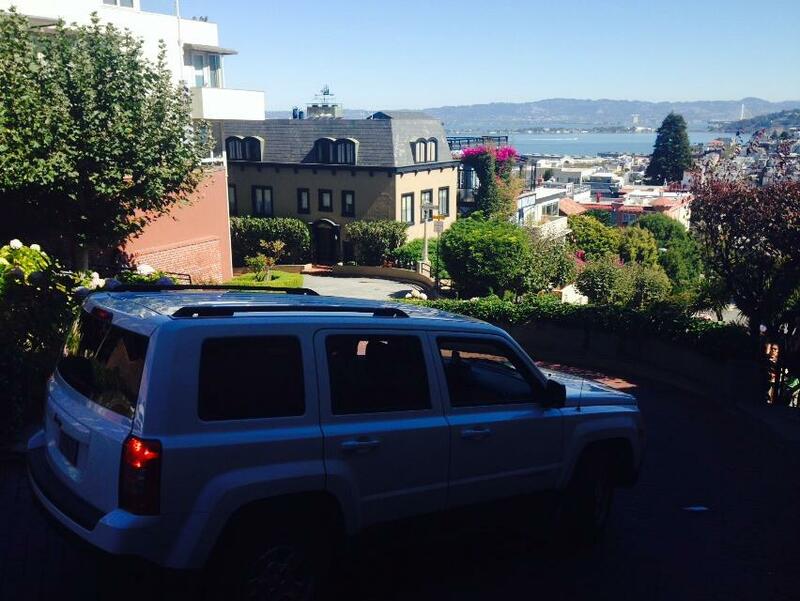 I have to commend my aunt for being able to navigate her way through this street all the way down. As soon as we arrived, I got out of the car excitedly with my phone in hand ready to take a photo when suddenly, I saw nothing but asphalt right on my face. 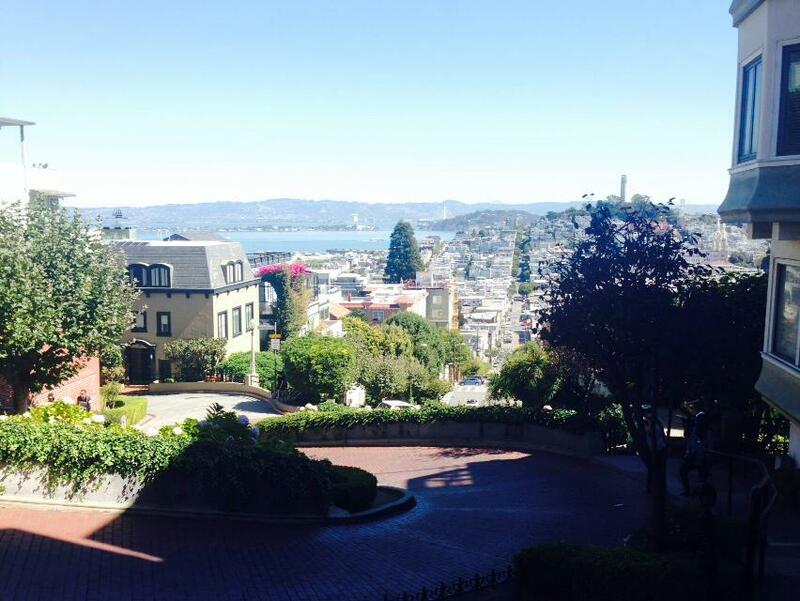 Yep, I fell two steps down Lombard Street because of my own stupidity. To make matters worst, I didn’t fall gracefully. I was shaped like a star with my arms and legs spread as wide as it can. Thankfully, because of the steps – my face didn’t hit the ground. An inch of space saved my face from hitting the ground. Thank God for that inch. I wasn’t looking at where I was going, I was so excited to take a photo of this famous place so I didn’t see the steps right in front of me. When I fell down, there was only one thing in my mind “Oh crap! 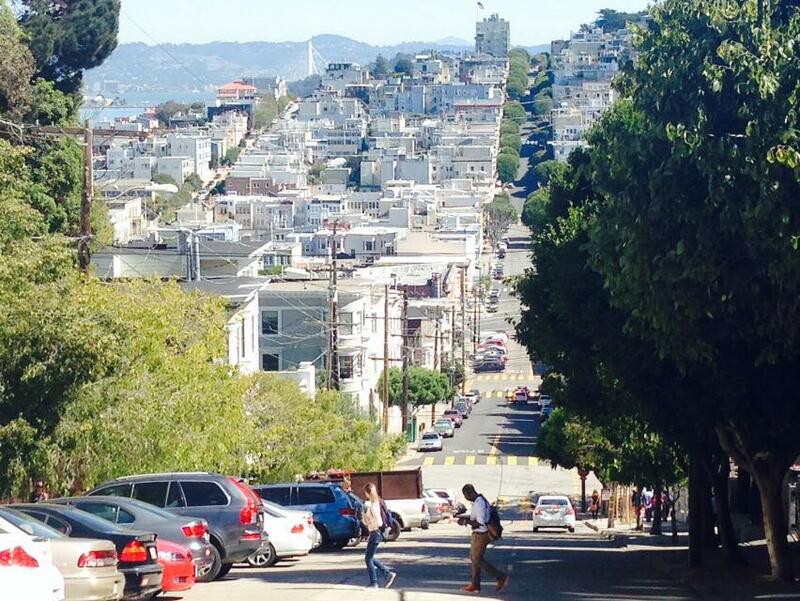 If I am unable to stop this fall and go all the way down the street, I’ll have to climb back up again to take a photo.” Yep, that’s how weird I am. Was I humiliated by that stupid fall? Not at all. There were a lot of people who witnessed it but I couldn’t care less, I won’t see them anyway again. So I got up, brushed it off, pretended like nothing happened and started taking photos on my way down and didn’t look back mainly because, I didn’t want my spectators to see my face. Lol. At that time, I thought that as long as nobody will see my face – there will be no harm done to my ego. 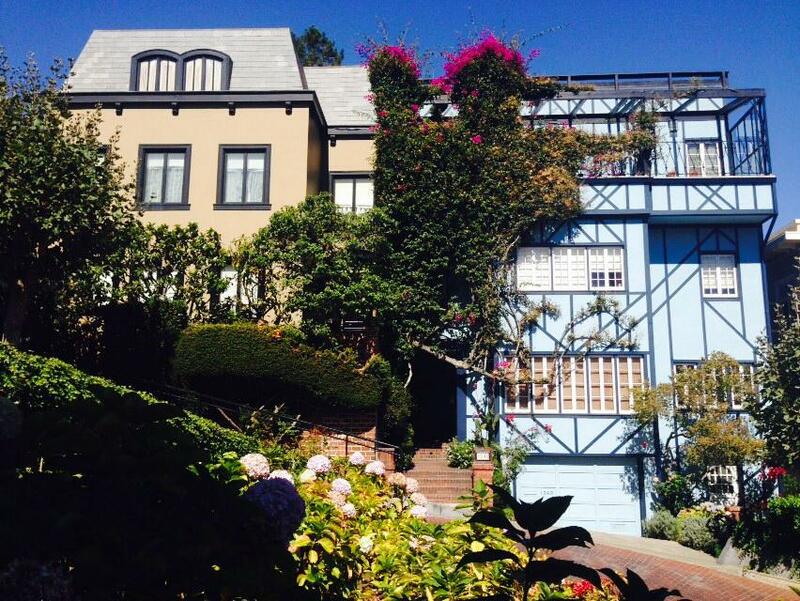 To those who witnessed that ugly fall, they will just remember me as that stupid girl who fell down Lombard Street – no face to accompany it with. 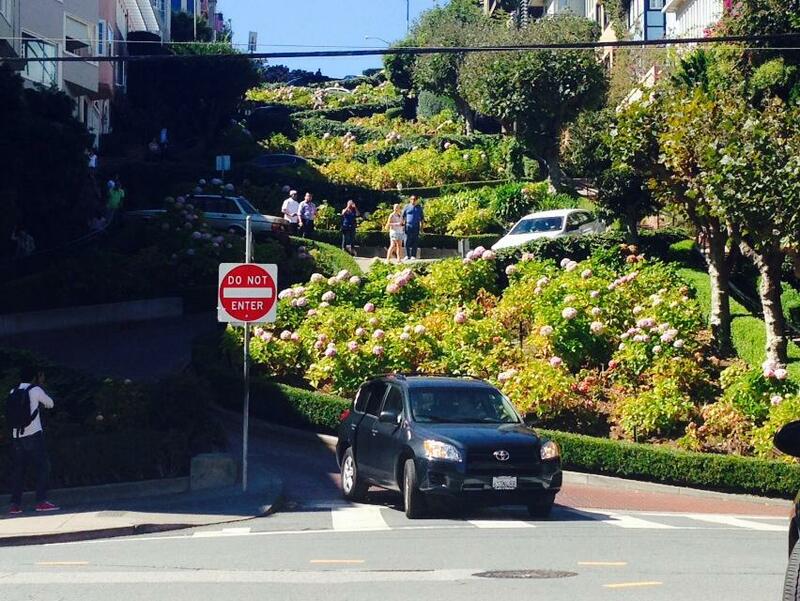 Lombard Street had its crooked road not to be a tourist attraction but for safety. 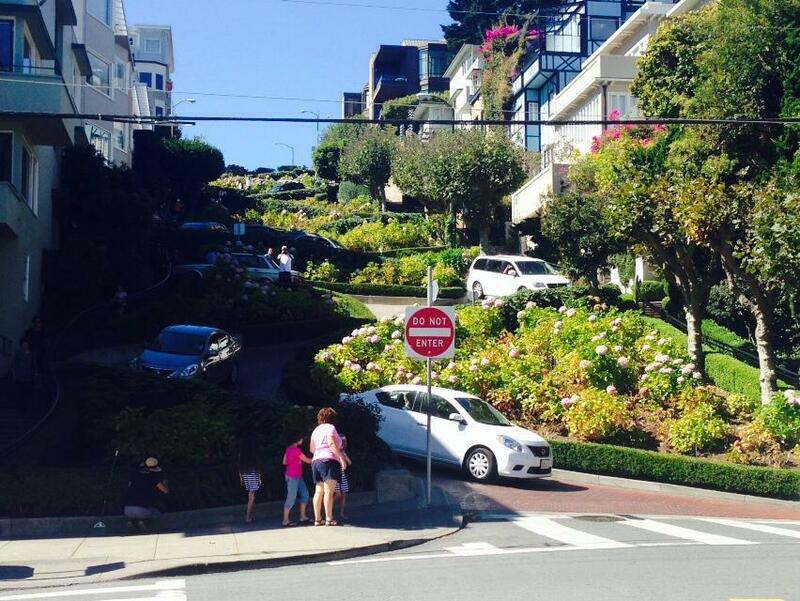 The street’s natural grade is too steep to be driven on, which explains all the tight turns in it. Victorian-style houses line it up (it was said that real estate in this area is very expensive even if residents will be bombarded by tourists all day) and the crooked road itself is perfectly manicured with lush greenery and pretty flowers. 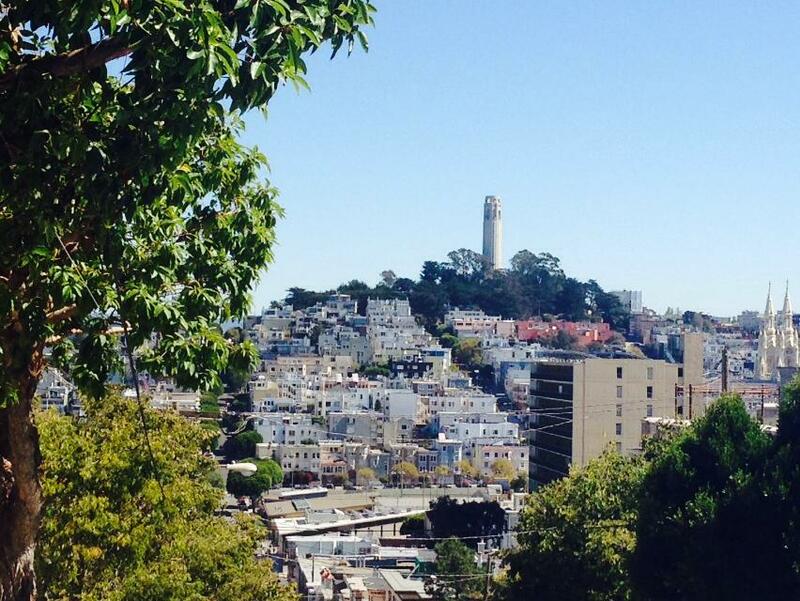 The view from the other side is just as pretty, a bird’s eyeview of San Francisco (well almost).